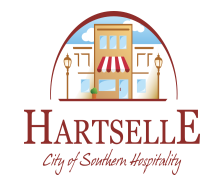 We would like to thank you for taking the time and interest in the Hartselle Fire & Rescue Volunteer Program. At this time we are currently taking applications. If you are looking for a challenging and rewarding activity, this program is for you. There are a few requirements to be eligible for the program. You must be 18 yrs or older. A-107.01.01 All volunteer firefighters of Hartselle Fire & Rescue shall abide by all rules and regulations established by the fire department, and the City of Hartselle. A-107.01.02 Volunteers shall not cover the stations for paid employees due to staffing shortages, unless approved by the fire chief. A-107.01.03 Exception to A-107.01.02 above is in the request for mutual aid in which coverage is needed to protect the City of Harstelle. A-107.01.04 Volunteer training shall be scheduled the first (1st) Tuesday of each month. This training will be drill field or station and conducted by the department shift on duty. A-107.01.05 Volunteers are required to obey all traffic laws required by the City, County, and State of Alabama. A-107.01.06 Volunteers shall not utilize emergency warning lights of any kind while responding to, on scene, or returning from a call. A-107.01.07 Volunteers shall conduct themselves in a mature and professional manner at all times. A-107.01.08 Volunteers shall follow the proper chain of command structure. A-107.01.09 Hartselle Fire & Rescue issued equipment shall remain the property of the City of Hartselle and is to be returned upon request by the chief of the department, or upon leaving the volunteer status of the Hartselle Fire Department. A-107.01.10 A volunteer for the City of Hartselle Fire Department shall not ask for any discounts or gratuities. A-107.01.11 Effective September 1st, 2005 new volunteers shall live within three (3) miles of the city limits of Hartselle.